Low maintenance style home features 1438 sq. ft. of open living space complete with 2 bedrooms and a bonus room. 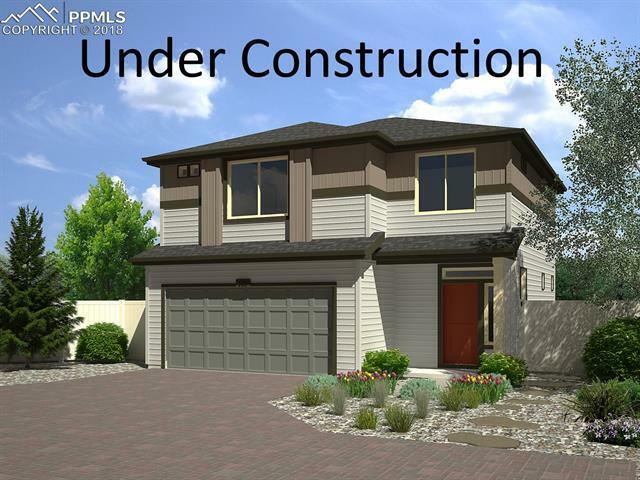 This home has 9 foot ceilings throughout main level with trey ceilings in foyer and great room. Includes spa shower, double vanity, and walk-in closet in master. Large eat-in island, popular upstairs laundry room, large windows that provide an abundance of light, professional front-yard landscaping, privacy fence, and snow removal. Homes are built in cul-de-sacs with paver driveways.